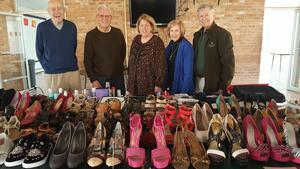 The “Once Upon a Teen” clothing market returned for the 3rd year on Saturday, January 19. Students had the opportunity to shop for a variety of items (i.e., jeans, jackets, sweaters, athletic wear, etc.) right here on campus. We are so grateful for volunteers from churches in the Dallas area who continue to make this fun event possible for our students.